Continuing my review of this excellent Metropolitan Opera production. The singers and the orchestra were amazing, as usual. My only quibble is about the setting and the staging. I don’t like the sets. For Act I, all they needed to show was the basics of a military camp; they didn’t need to litter the stage with some kind of abstract topological maps. Especially since they were not even in the correct era of history — but I will get to that. I don’t know why these “genius directors” think they are trying to say something profound, while riding on the backs of great singers. The audience could care a hoot about their high concepts. They just want to hear the singers nail their arias. The stage within a stage is propped up on giant scrolls. So, Act II takes place in the drawing room of the Marquise de Berkenfield (sung by mezzo and Met trooper Stephanie Blythe). All that was needed here was a basic drawing room set, a couple of lamps, a few sticks of furniture. Instead, the “genius” director decided to put a stage within a stage, with sandbags around the floor (actually, not even sandbags, but giant scrolls, maps again, probably), and forcing the singers to jump down onto the sandbags, and then climb back up onto the stage. Once again, an example of small minds riding on the backs of great talents. In some pathetic attempt to make some pathetic point about …. WHAT? That war is hell? Jesus save me! For the love of God, just design sets that advance the story, the way it is written! Is that too much to ask? Speaking of “war is hell”, the greatest sin here was to move the action from the Napoleonic to the World War I arena. Why why why why why why why why why????? When Donizetti composed this opera, he was apparently working off his own material, there is no indication of a previous source, such as a story or play, etc. No, this was his original story, along with librettists Jules-Henri Vernoy de Saint-Georges and Jean-François_Bayard. Bayard, by the way, was the nephew of Eugène Scribe, co-author of that amazing play Adrienne Lecouvreur, which I analyzed (sort of), in my review of the operatic version of this story. Donizetti’s comic opera La Fille had its debut in Paris in February of 1840. This was the Golden Age of French music, as well as of Romanticism in general. This was the age of Hector Berlioz and the Paris Conservatory, which set the standards for orchestral excellence in Europe. Up until then, musicians learned to play their various instruments, in whatever style, and then got a job in an orchestra. It was the French, with their Conservatoire, who figured out how to get everybody trained the same way, and by the same standards! Every modern orchestra in the world today owes this cultural debt to France. 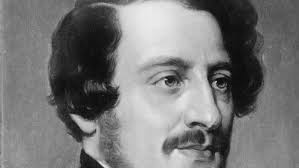 Albeit an Italian, Donizetti was living and studying in Paris (1838-1840) at the time, which is why the libretto is in French instead of Italian. 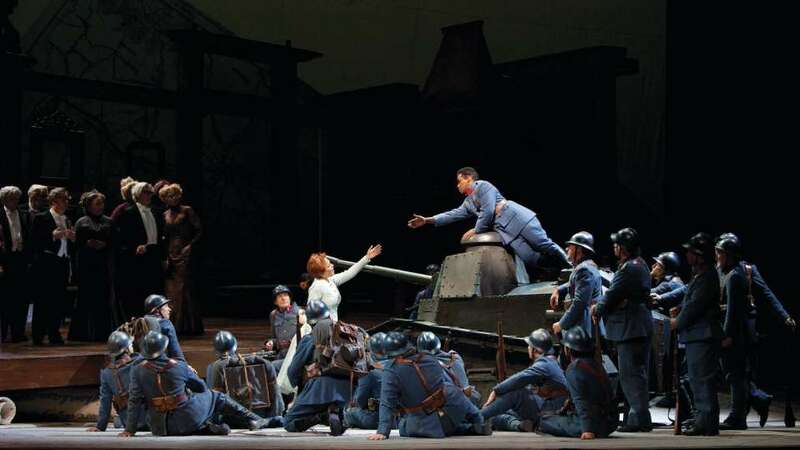 And a good choice, too, because the subtext of La Fille, albeit comic, includes a healthy dose of French patriotism. 1840 was not that far removed from the Glory Days of Napoleon Bonaparte, whom some Romanticists still remembered fondly, regardless of nationality. In Donizetti’s story, the heroine Marie (whom we later learn is a German orphan) was discovered as a baby and adopted on the battlefield by a regiment of French soldiers during the Napoleonic wars. See, this is the difference between the Napoleonic period and WWI: During the Napoleonic period, it was a lot easier for people of different nationalities to feel patriotically inclined to France. To some people, Napoleon still represented (although fadingly) the ideals of the French Revolution: Equality, Brotherhood, etc. It was not at all outlandish for people of different nationalities to take the side of France and enlist in Napoleon’s army. Hence, the Austrian Tonio’s decision to enlist in the French army in order to get closer to his beloved Marie, is not only amusing, but also harmless. A comedic World War I is inappropriate. Fast forward to WWI, a German soldier defecting to France – not quite as funny, or endearing. Nationalism was more rampant, and positions had really hardened by then. 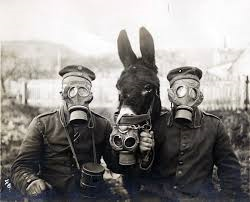 When one thinks of WWI, one’s mind turns to poison gas, trenches, senseless loss of life, it’s no laughing matter! Marie’s boisterous love for France rings truer in a France ruled by Napoleon, than in a France under the odious Poincaré. Which is why it simply does not compute AT ALL, to stage this Romantic-era story in World War I. I suspect this was done for one sole reason: The “genius director” wanted that still shot of Tonio on the tank, come to rescue his Marie from the posh life. In the original, Tonio would have arrived on a horse to rescue his girl! I personally believe that a law should be passed, which forbids operas to change the historical era of the story. In other words, no Tristan set on a World War II minesweeper. Nor a Rigoletto in 1950’s Las Vegas. This would be strictly forbidden by law. Oh, to be sure, certain exceptions could be made. If the “genius” director could prove to the world that his “interpretation” contained some unique insight never heretofore seen nor imagined. Otherwise – NO! 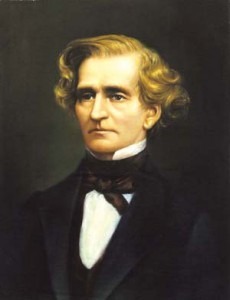 In other words, Berlioz was jealous of Donizetti’s success in Paris – Haha! Ah, if only we lived in a world in which geniuses could get along… Despite negative reviews and the apparent disaster that was the first night, La Fille eventually became hugely popular with the French public, and soon a staple of the repertoire. Next: On orphans and battlefields – could such a thing actually happen? Well, if you know your Russian literature, then you know that the answer is Yes. This entry was posted in Opera and tagged Gaetano Donizetti, Javier Camarena, La fille du régiment, Pretty Yende, Stephanie Blythe. Bookmark the permalink.